From delivering meals to your homebound elderly neighbors to enjoying a night on the town at one of our events, there are many different ways to support Citymeals. 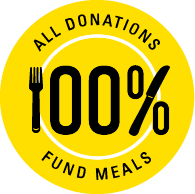 All funds raised go directly toward the preparation and delivery of nutritious meals. Opportunities are available to suit all schedules, group sizes and interests. These highly anticipated celebrations offer one-of-a-kind experiences. Citymeals creates tailored partnerships with both restaurants and businesses.